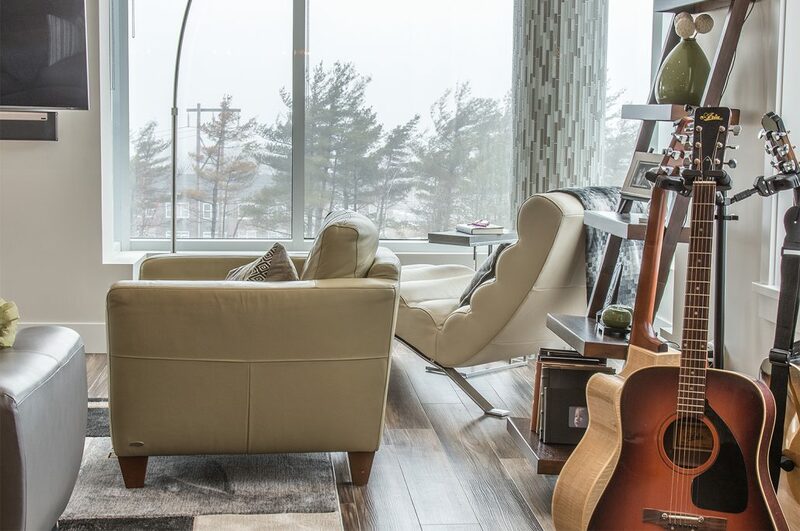 Behind these doors, perfection is at hand where refined craftsmanship and sophisticated style converge in an atmosphere of elegant celebration. 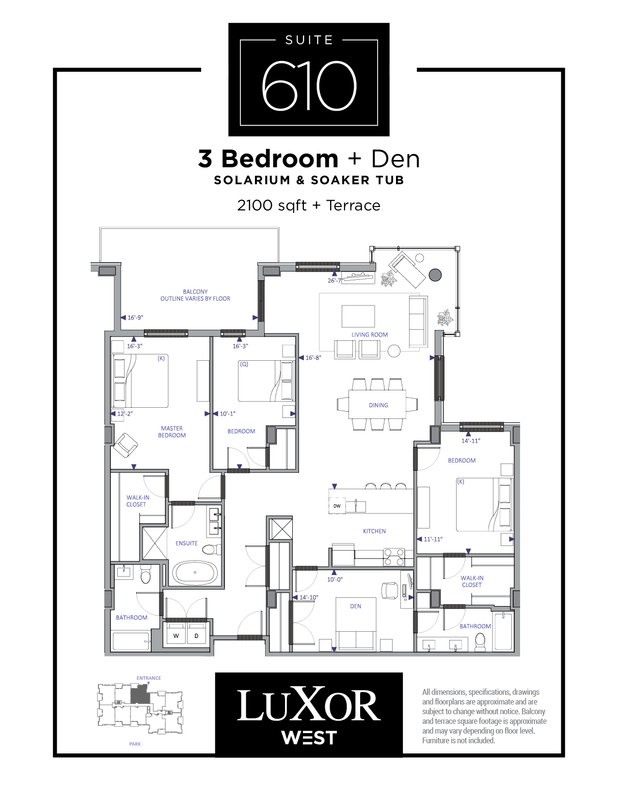 Luxor West has been carefully designed to cater to your every need. More than a home, these suites offer a unique living experience. 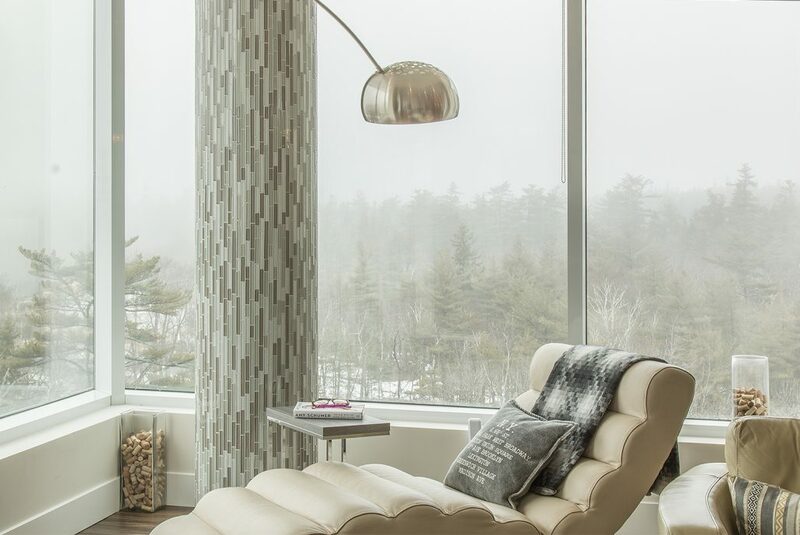 Everything around you meets the highest standards and was designed with passion, and with your dreams in mind. 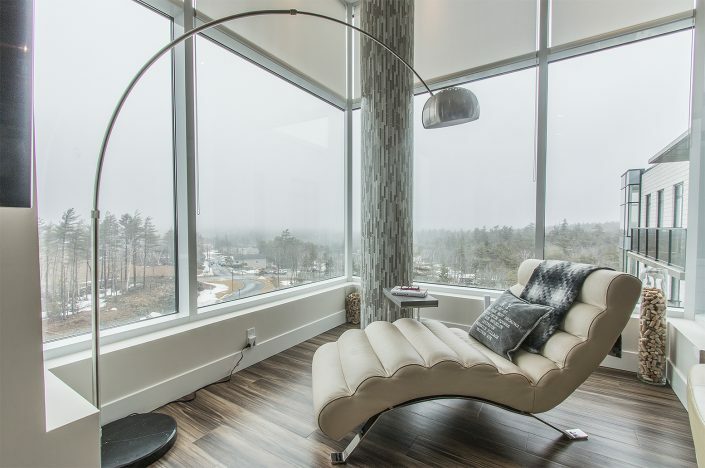 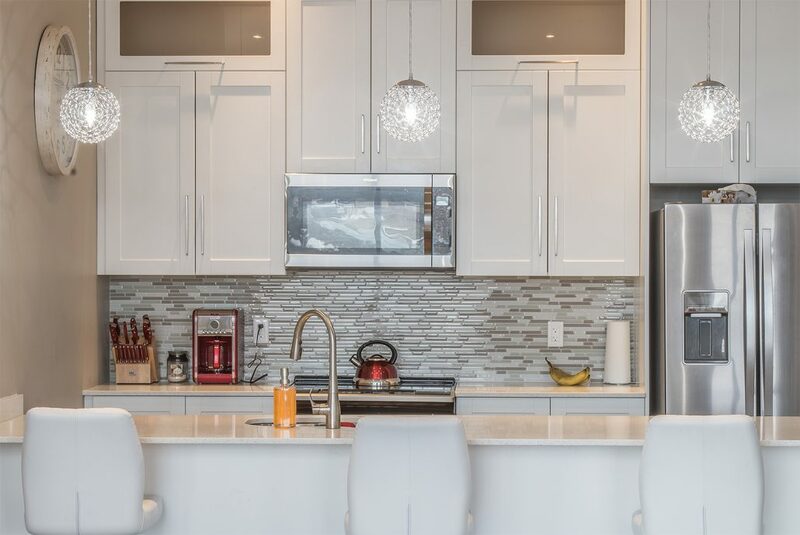 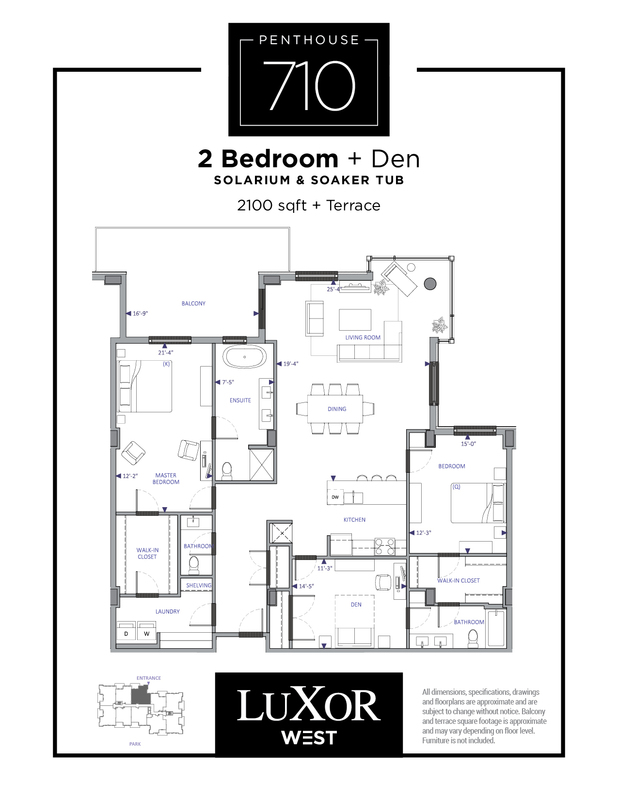 Residents have full access to an unprecedented range of luxury amenities to exceed the most demanding expectations. Uncompromising excellence and unsurpassed elegance is the essence of Luxor West. 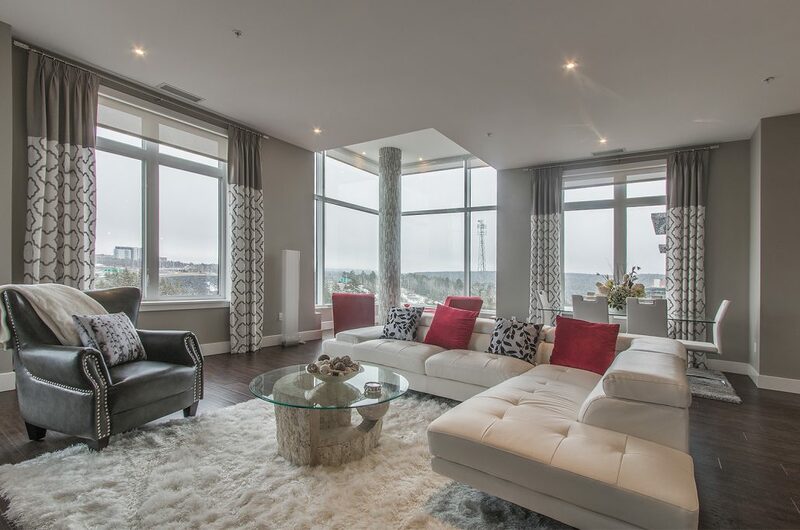 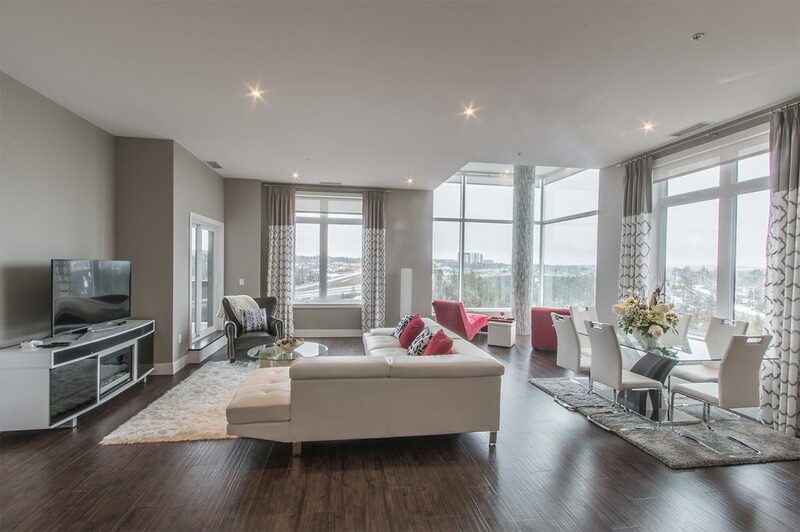 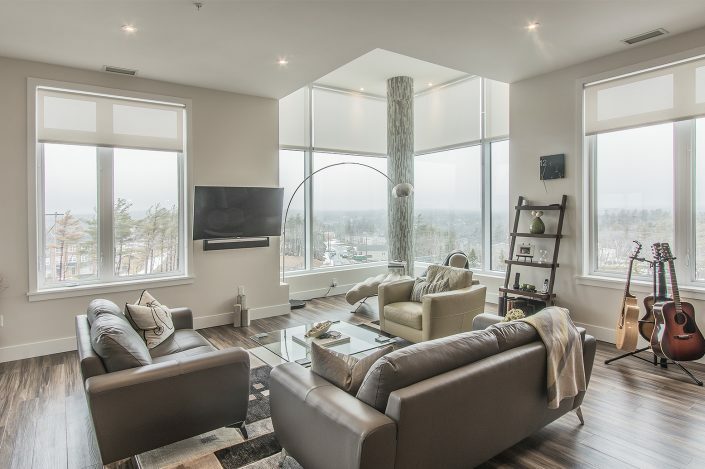 This 68-unit luxury residence features unparalleled interior finishes that provide a unique living experience. 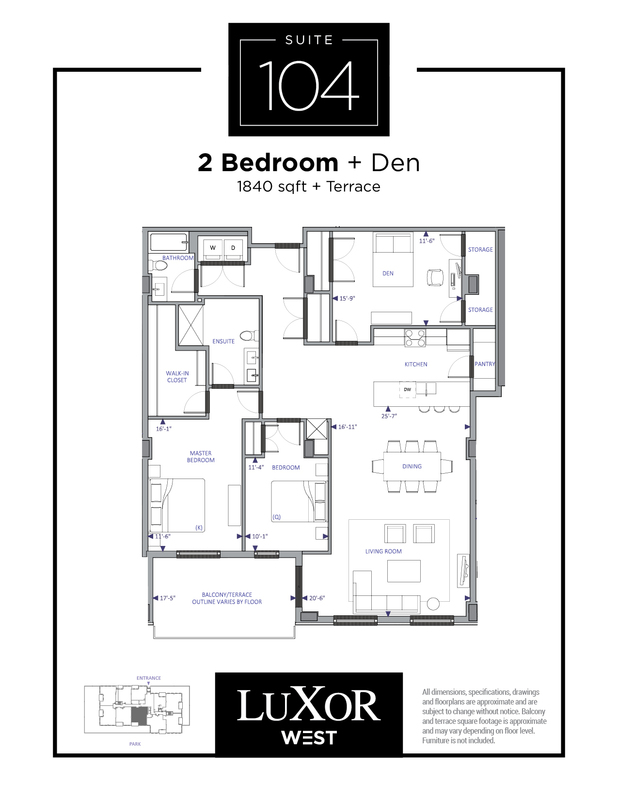 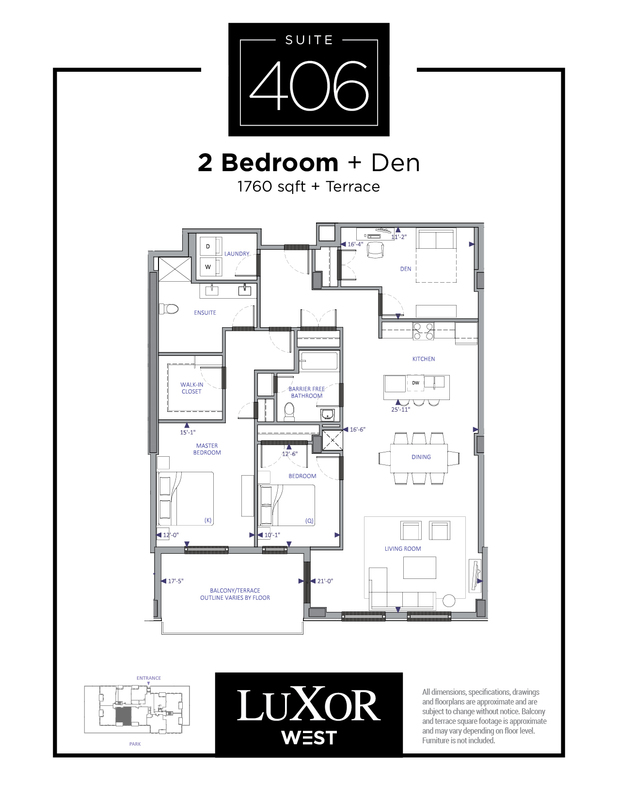 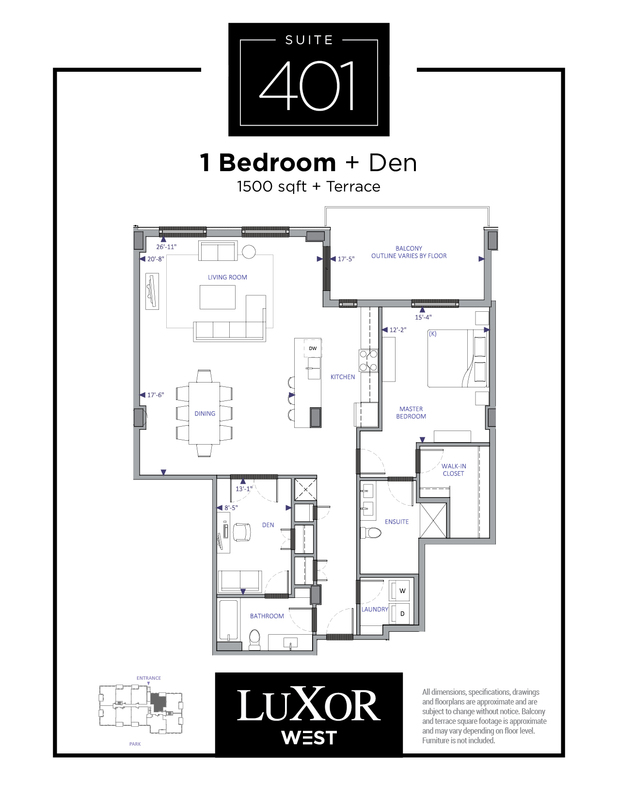 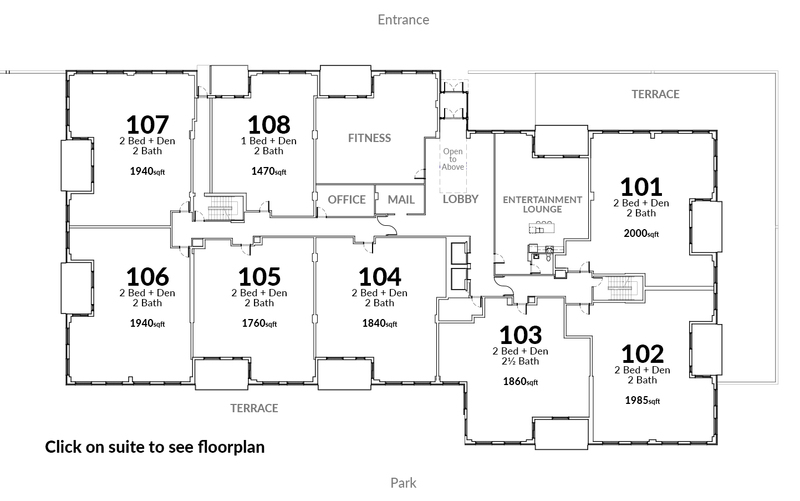 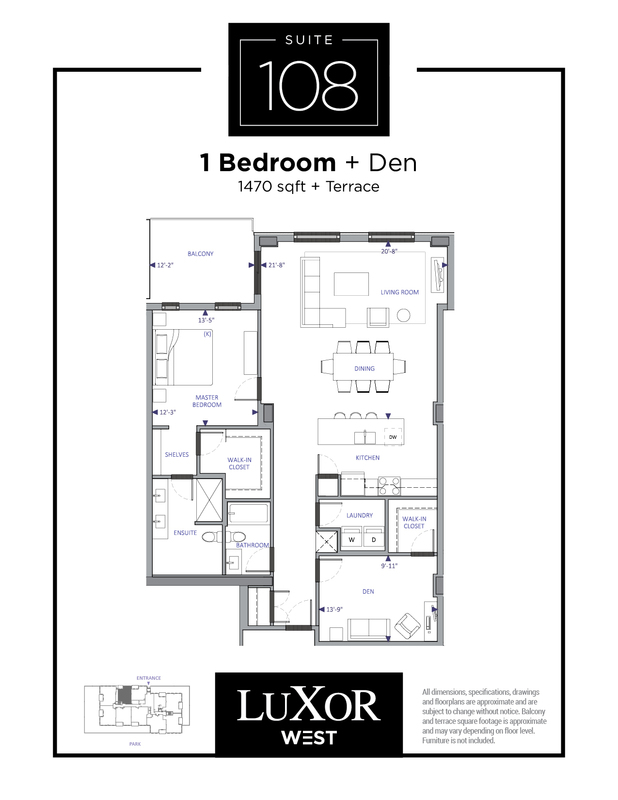 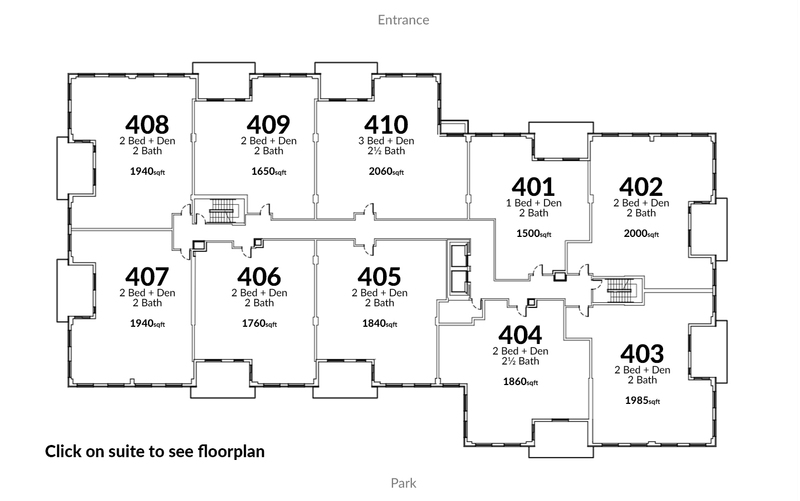 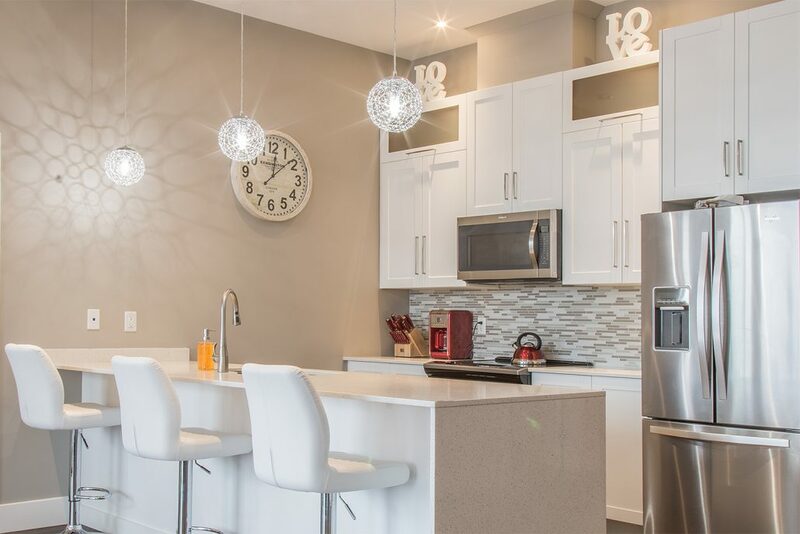 One bedroom plus den suites starting at $1495 available now. All suites include two baths. 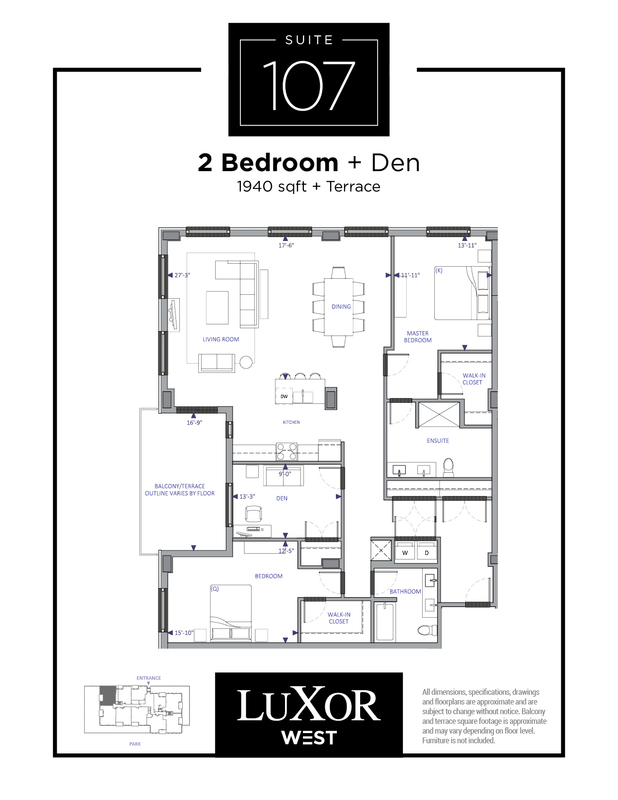 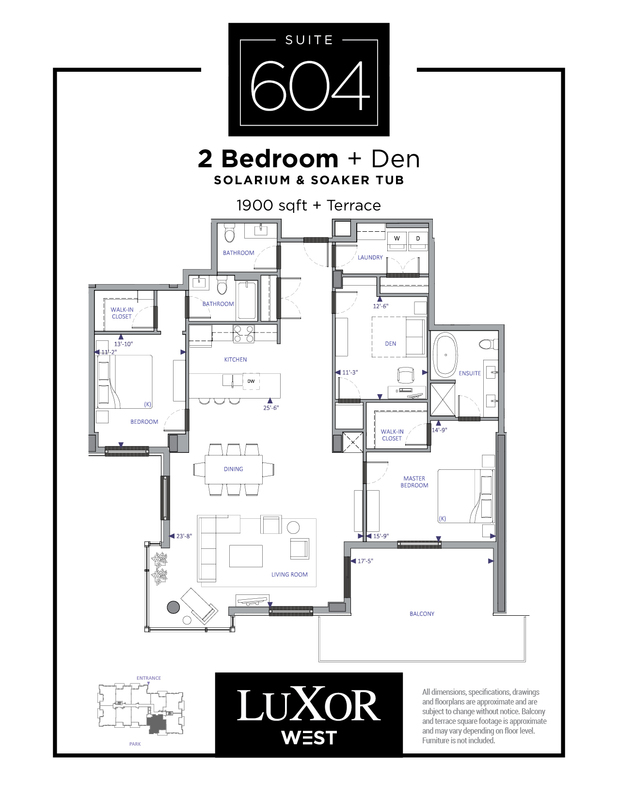 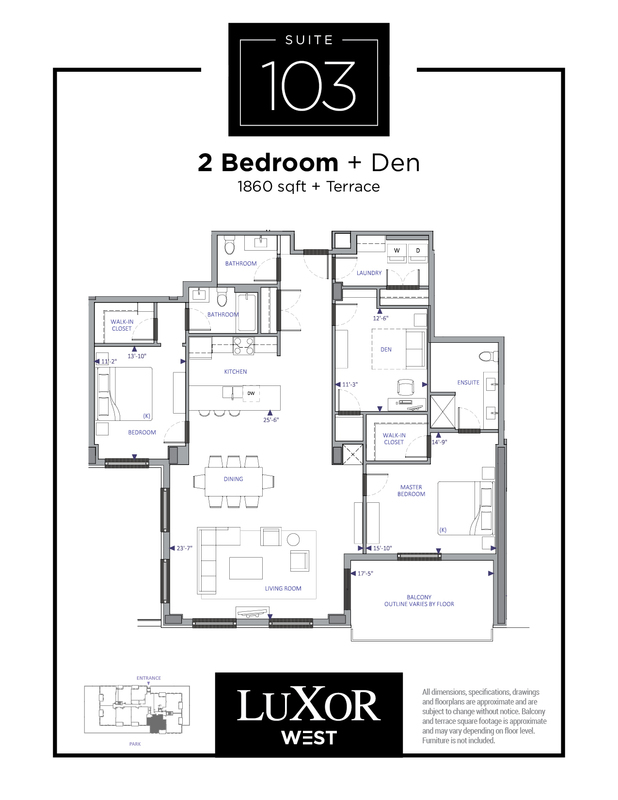 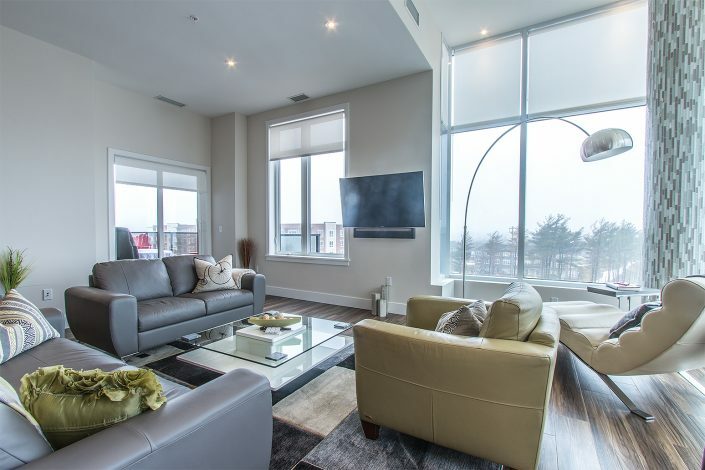 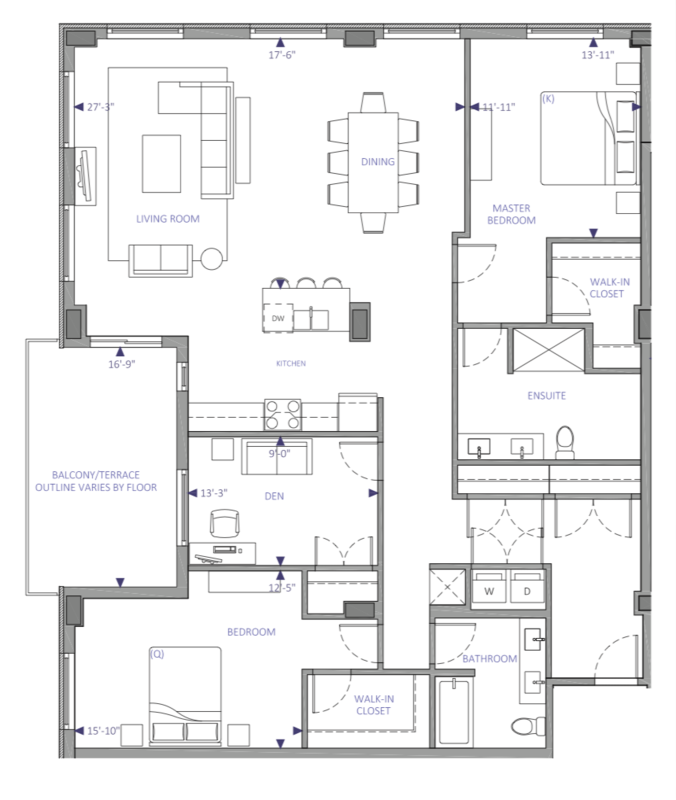 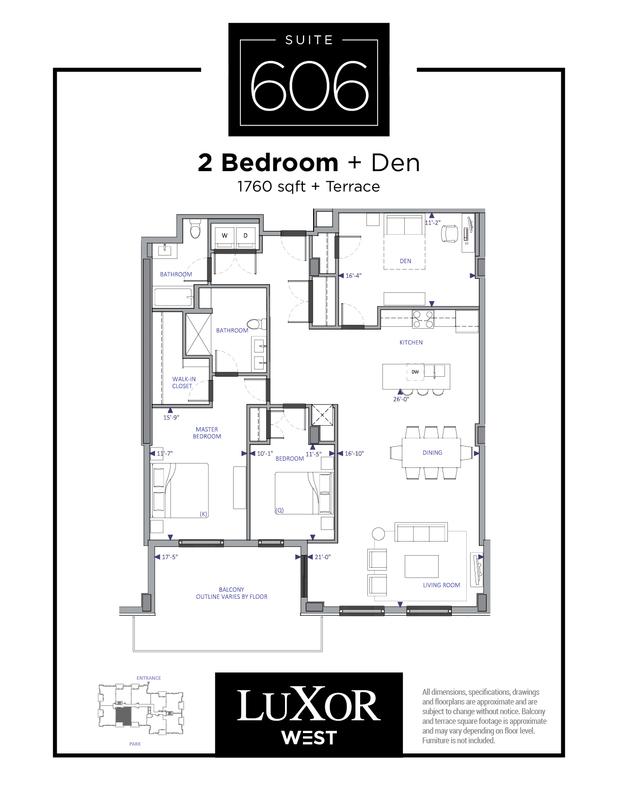 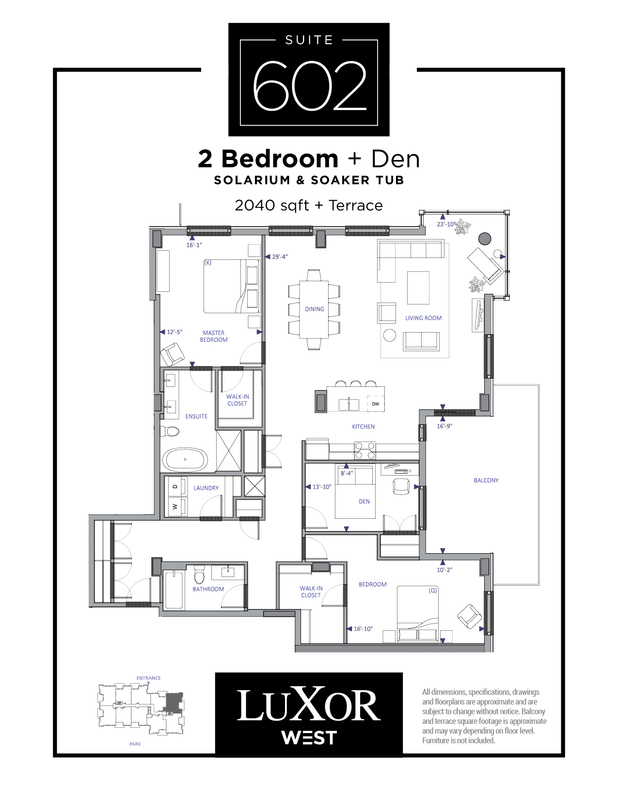 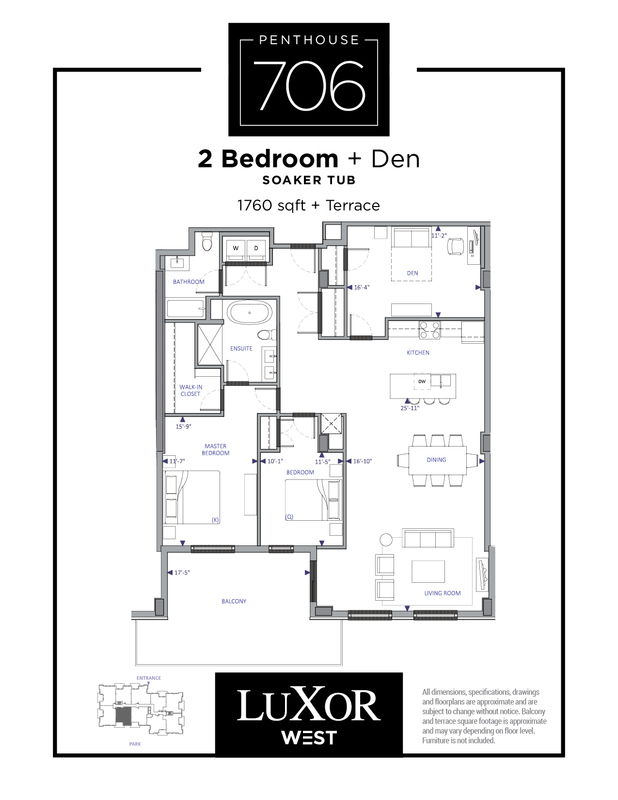 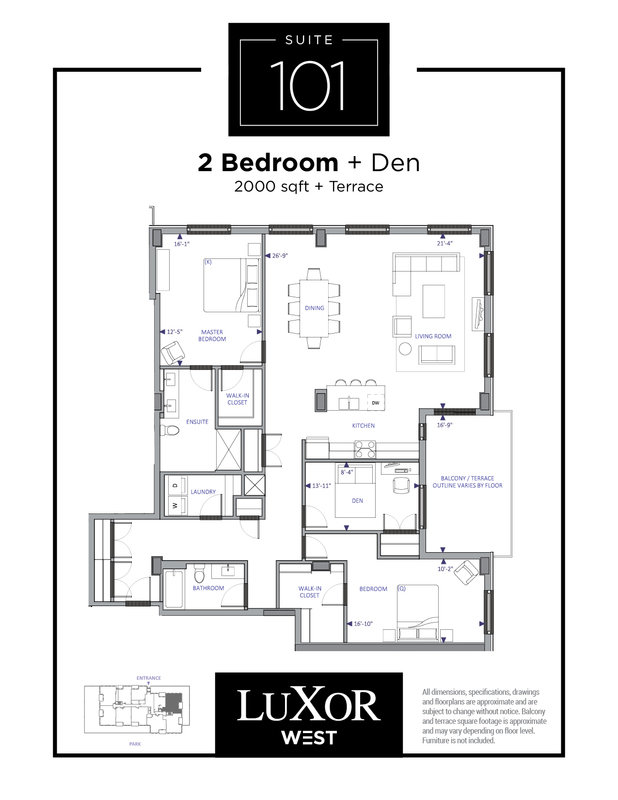 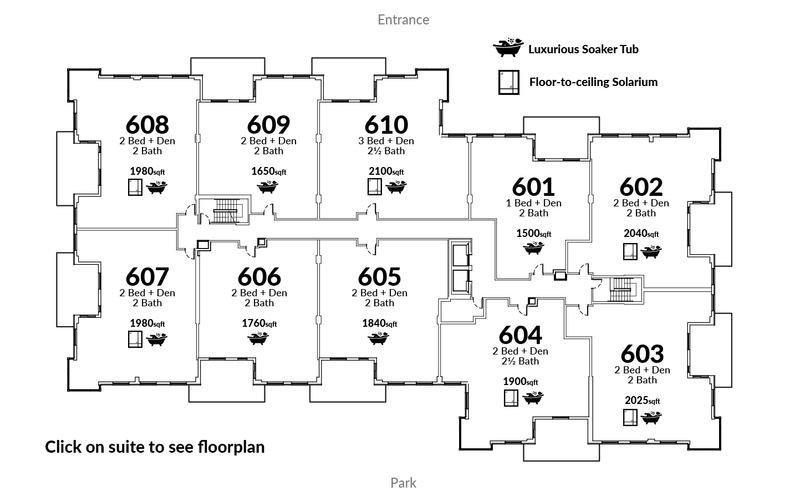 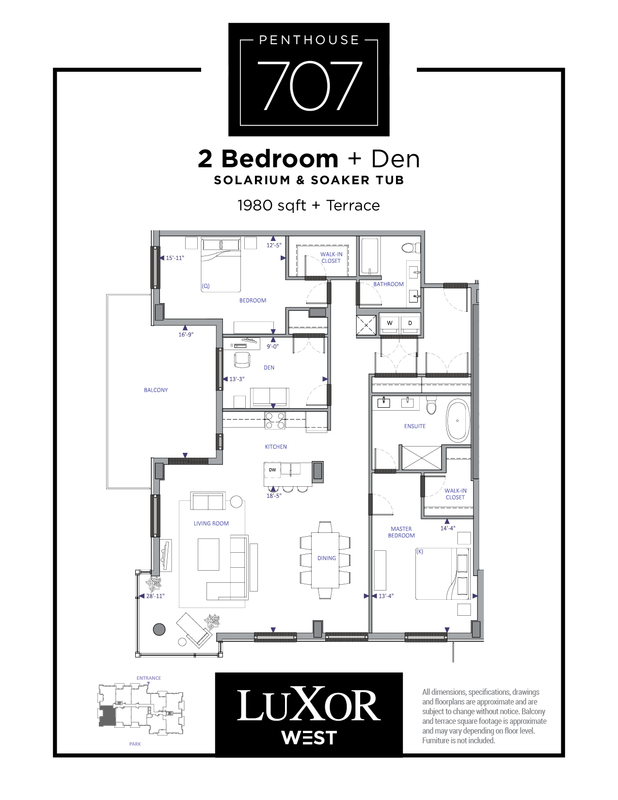 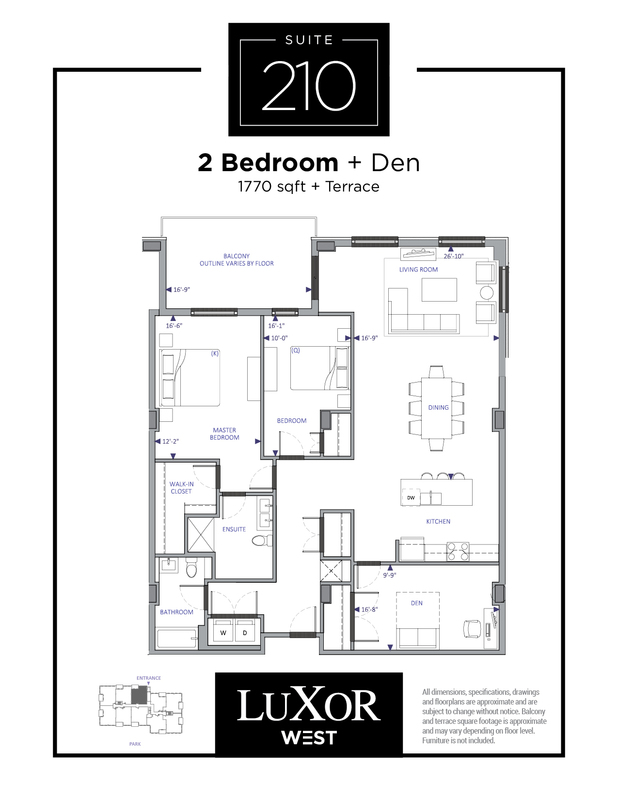 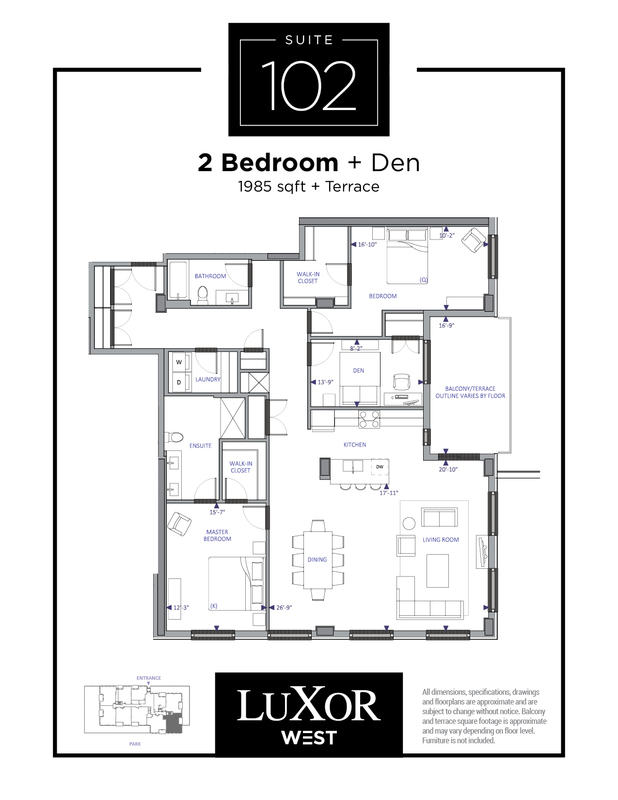 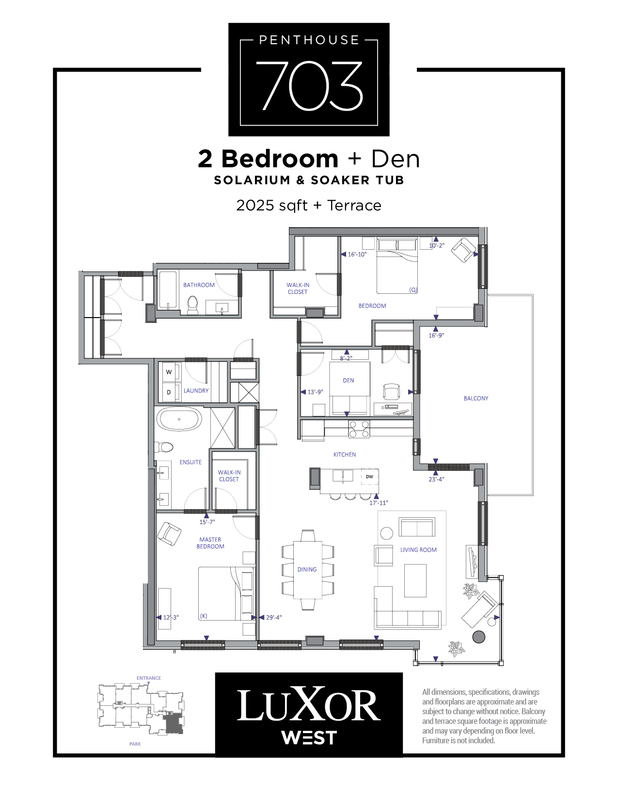 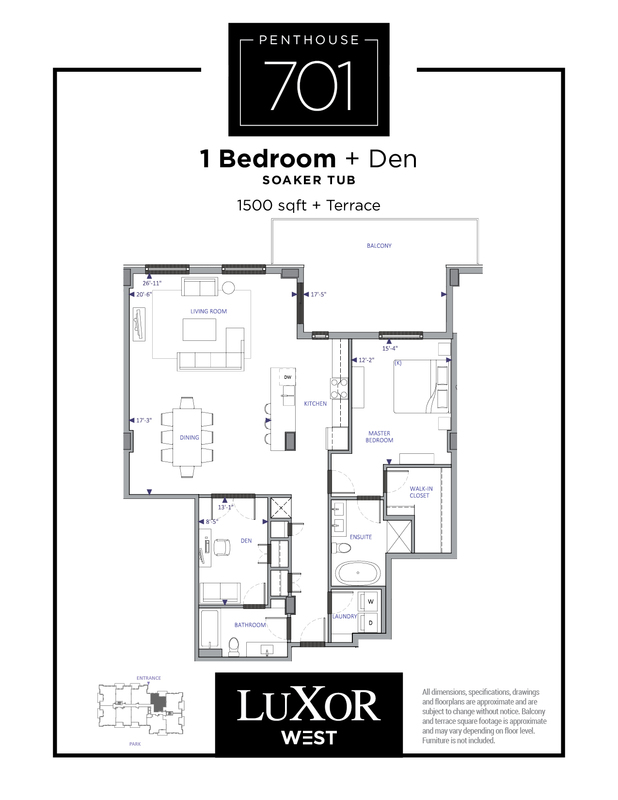 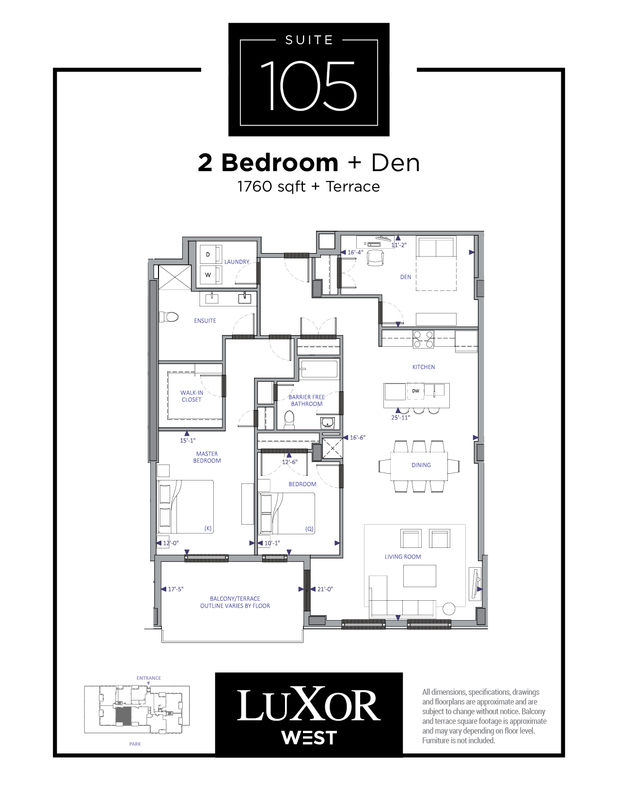 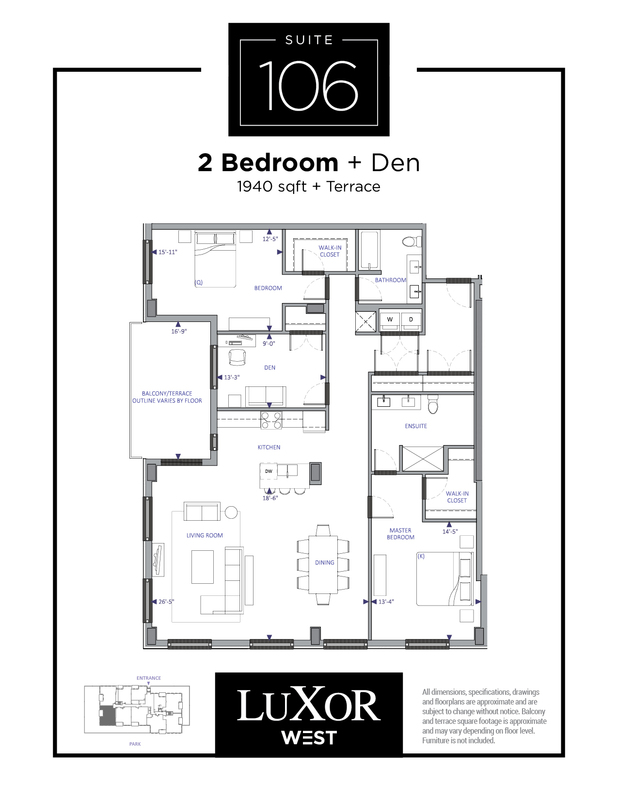 Two bedroom plus den suites starting at $1695 available now. 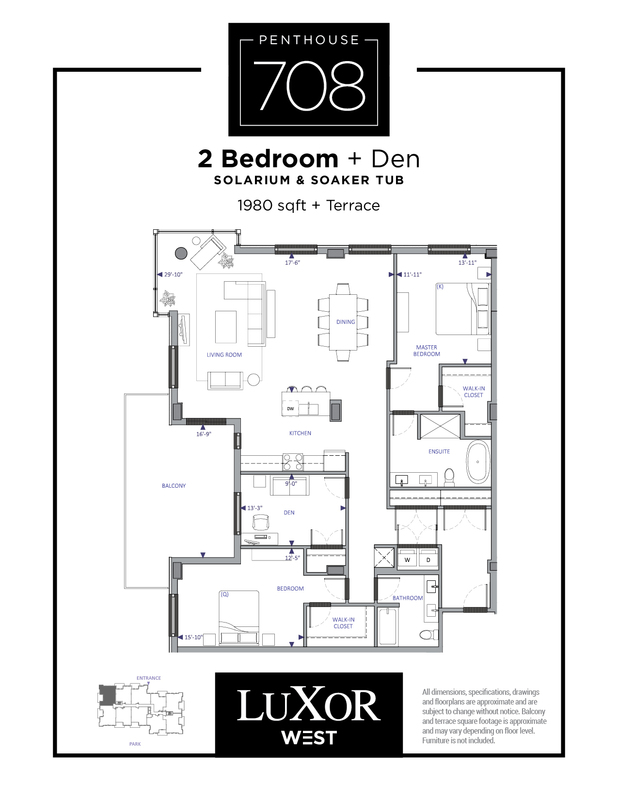 All suites include two baths. 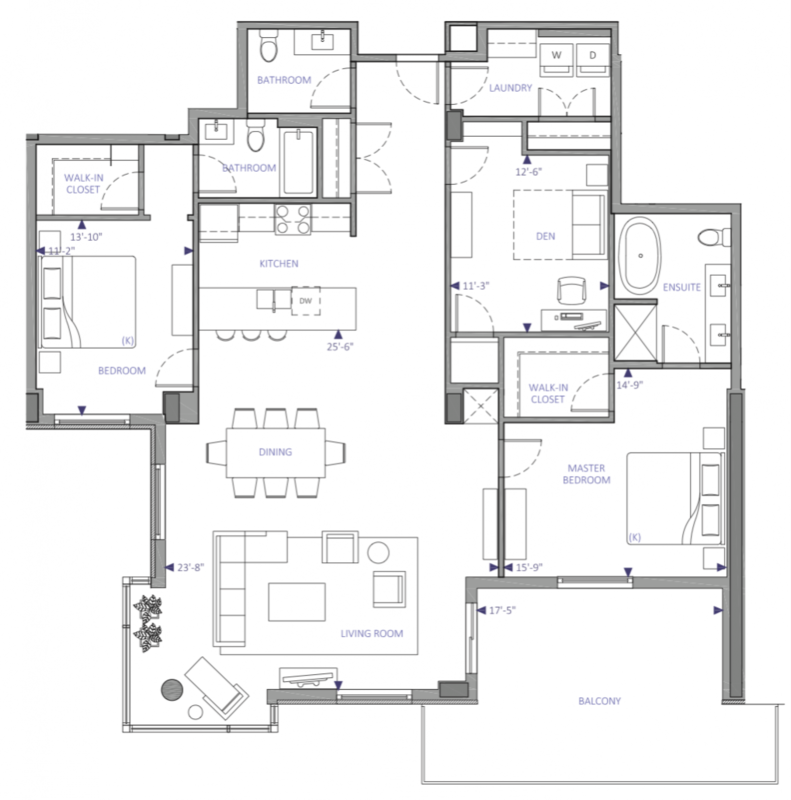 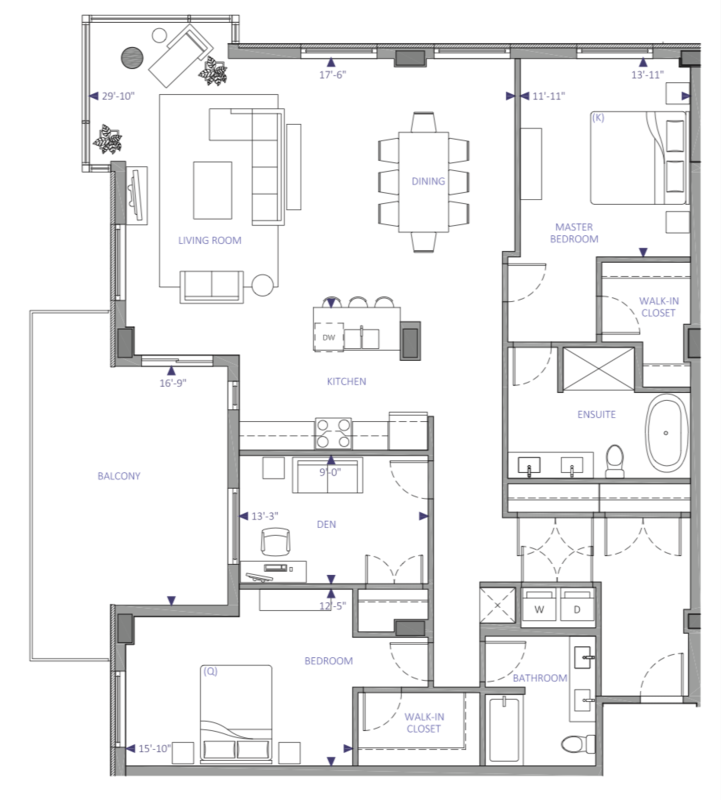 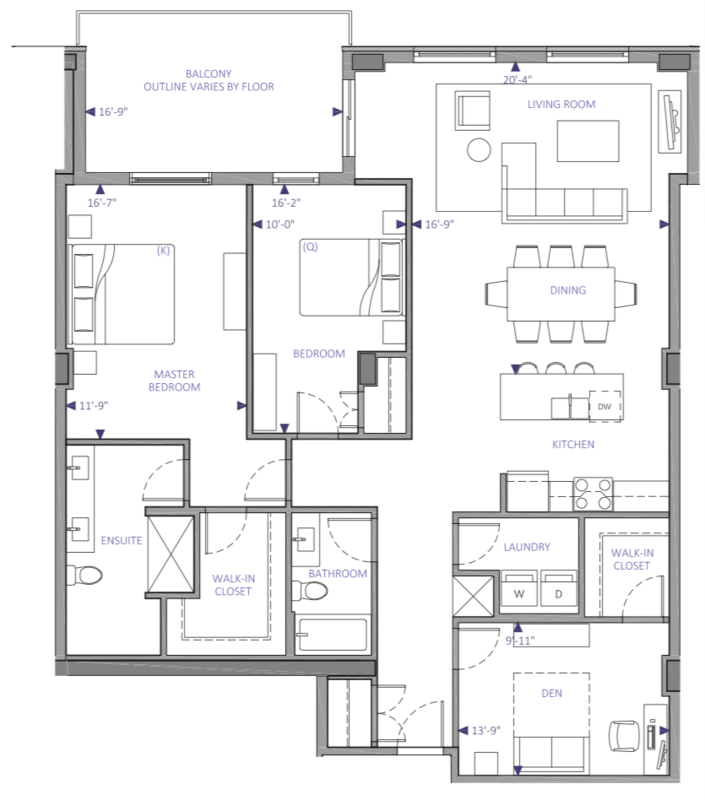 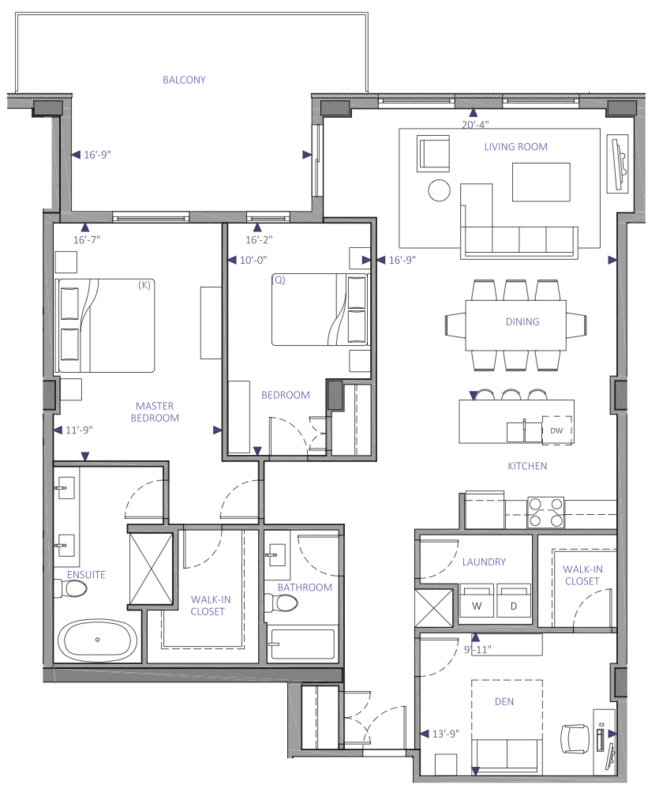 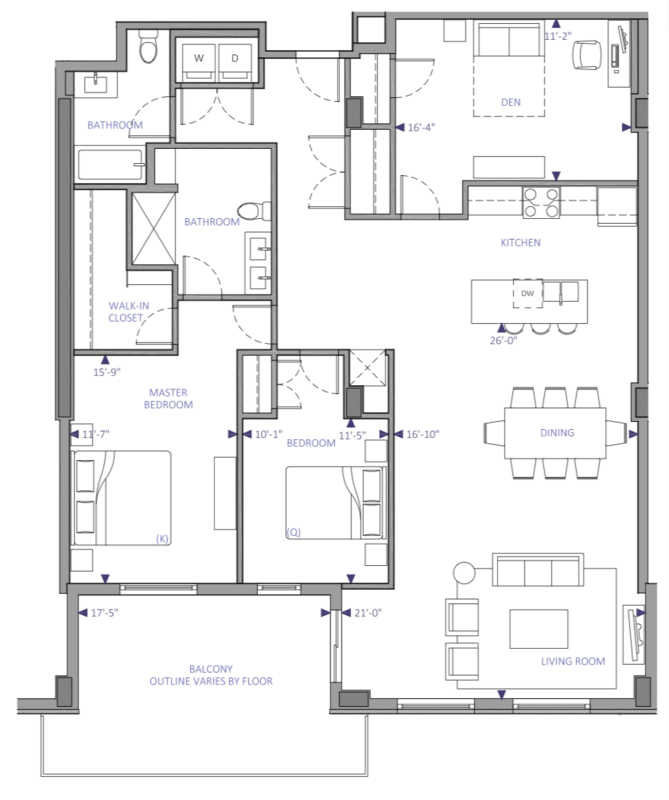 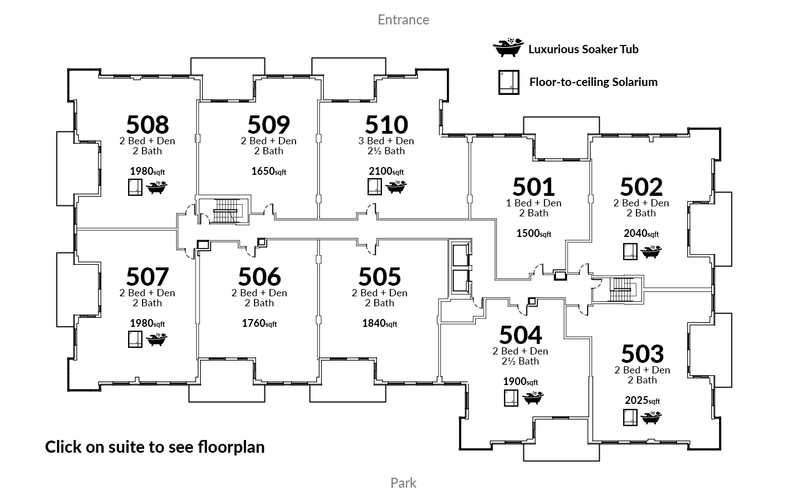 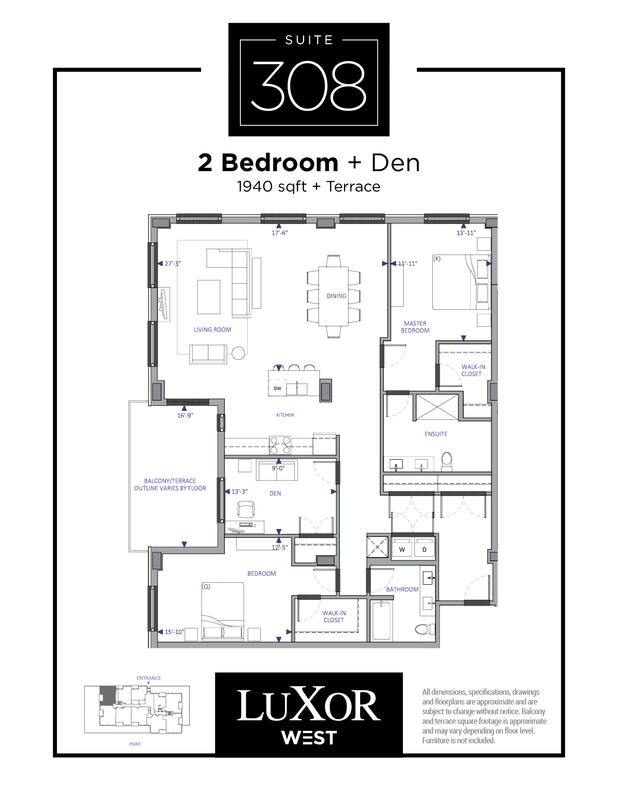 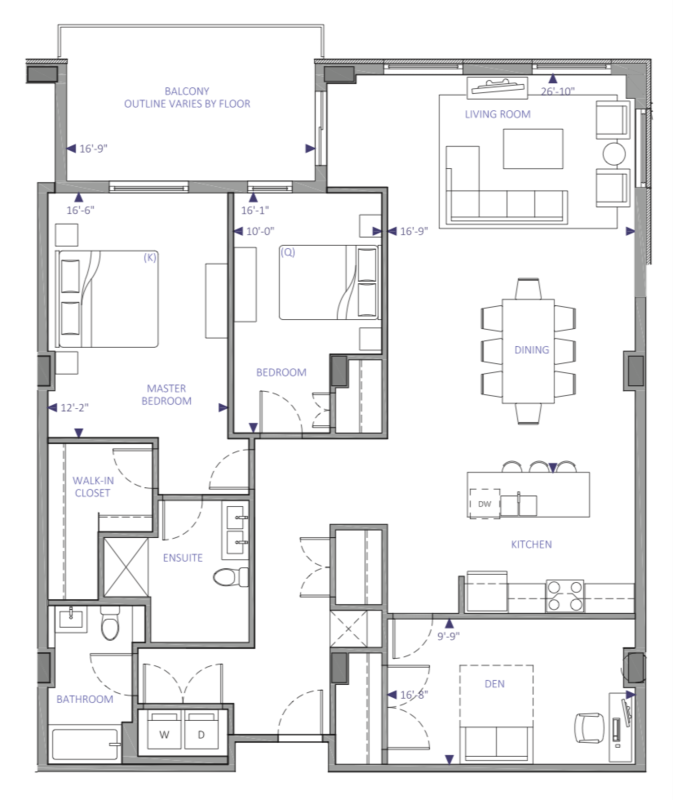 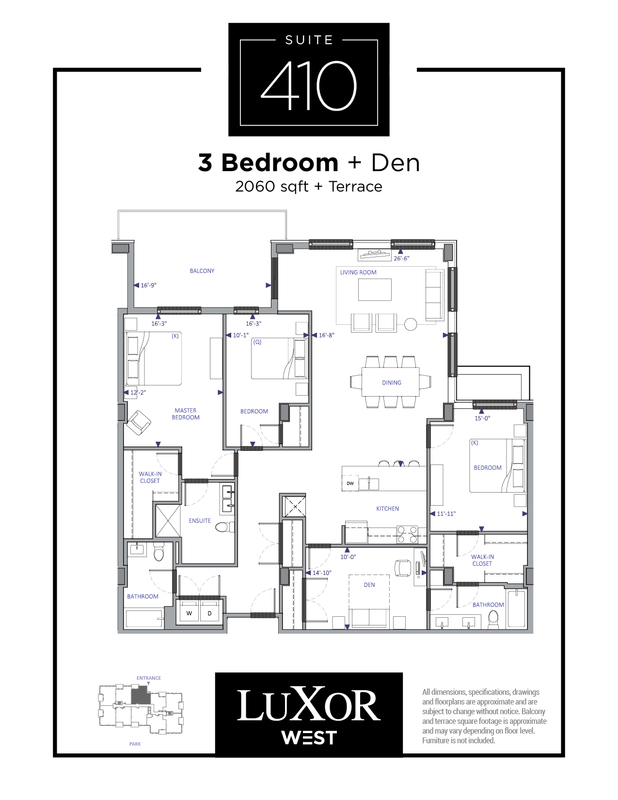 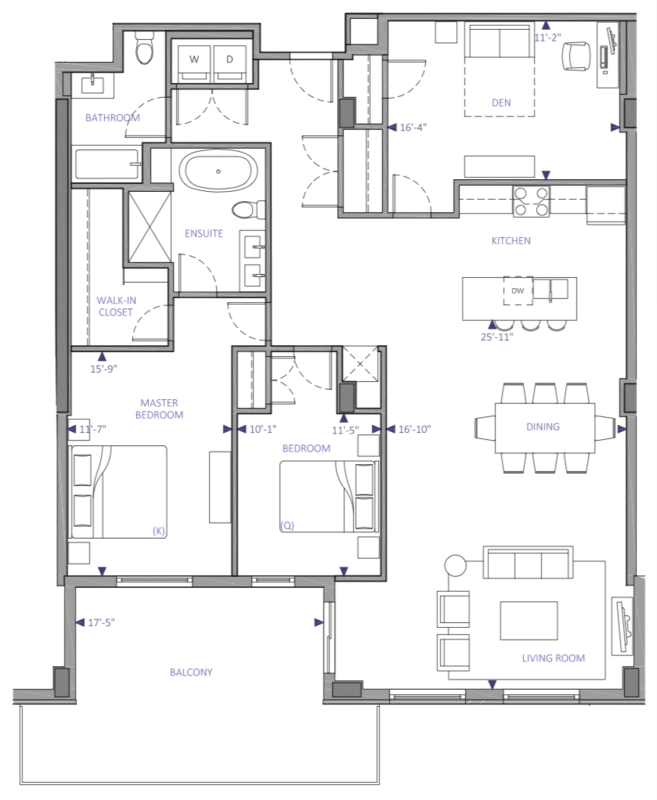 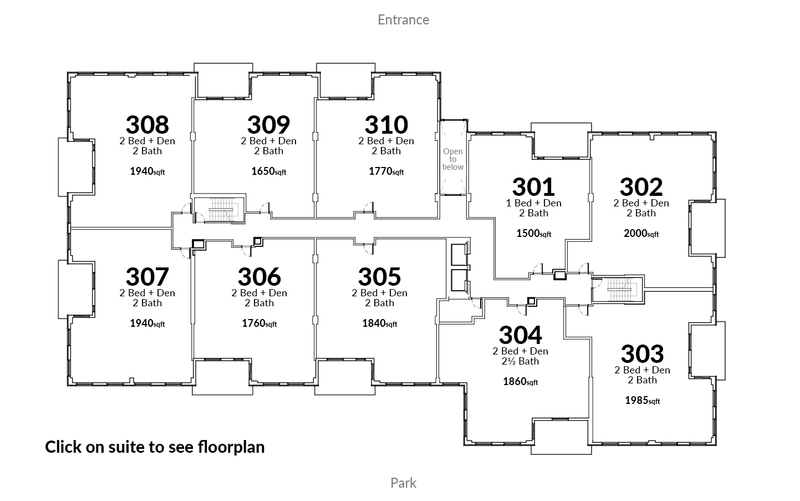 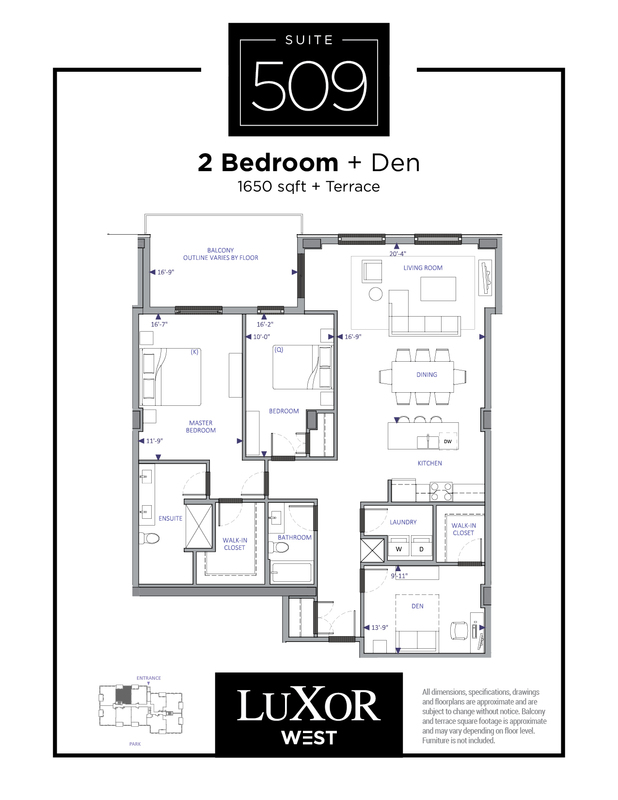 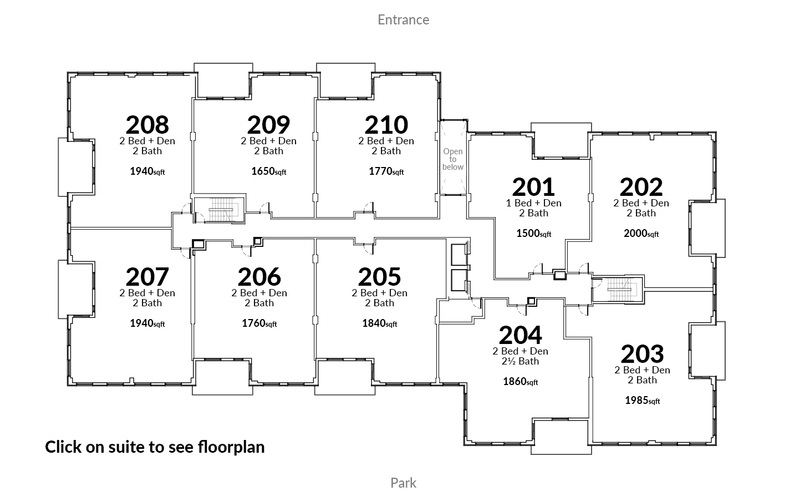 Three bedroom plus den suites starting at $1925 available now. 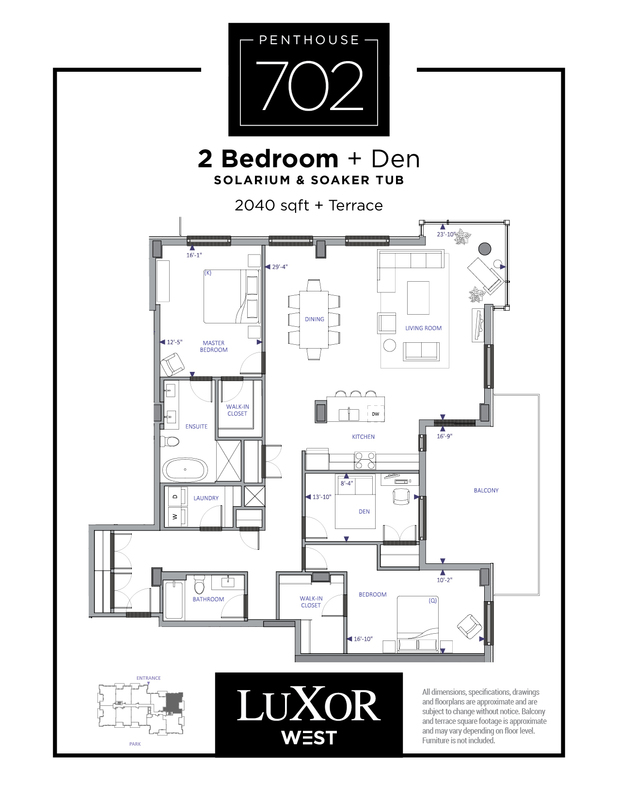 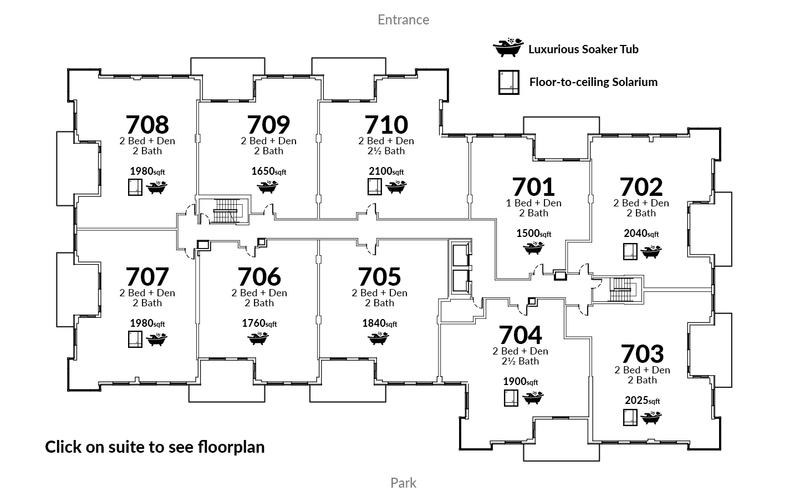 All suites include 2 and a half baths.